I made a ton of comics for the most recent round of Rhizomatic Learning with Dave Cormier, as well as other assorted media, such as memes and graphs and artwork. 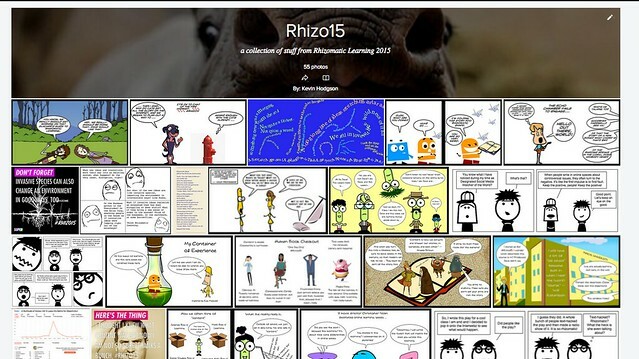 I realized, as Rhizo15 now officially winds down (but really, it never ends, if we can help it … thus, the Let’s Connect image above), that I have 56 items in my Flickr Album for Rhizo15. I’ve been trying to think about how best to reflect in writing about what I have learned with Rhizo15 and in typical rhizomatic fashion, I find it difficult to pinpoint specific things in a way that will make sense to a larger audience (that’d be you, my reader friend). I did make this comic the other day, as part of Dave Cormier’s call for artifacts to explain Rhizomatic Learning. And then yesterday, I created this deck as a sort of Top Ten-style, of things I am thinking about/learning about from Rhizo15. Maybe somewhere in all that mess of media, something helpful will yet emerge. Or at least, it will get you wondering. Me. too. 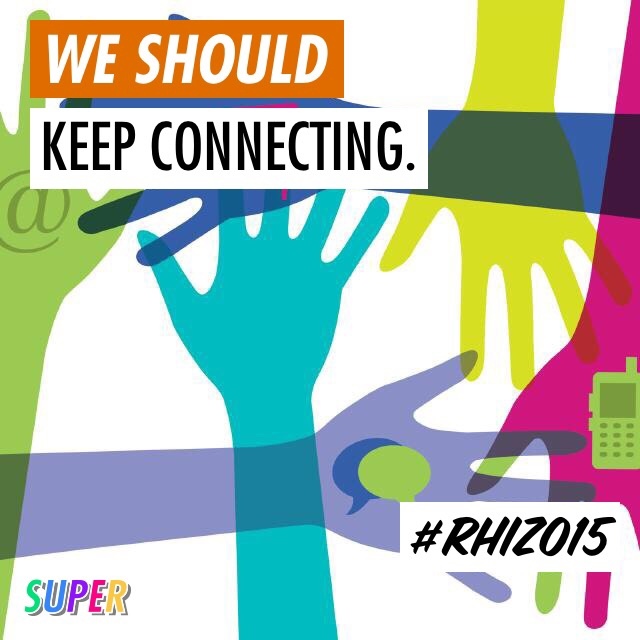 This entry was posted in RhizoLearning. Bookmark the permalink. Love that Haiku deck! Great reflection! You give Cormier way too much credit and yourself too little. As for artifacts to explain #rhizo15, well…I refused, just one more fiery hoop for someone else. I call jive where I see it. Rhizomes are illegible so what is the point in piling it on. None that I can see. However, you have every reason to stop and reflect on your work and what it means to you. that has tremendous value to me. Frankly, it dwarfs in creative power and consequence anything else done in #rhizo15 and is a classic example of good leadership. Bless you for it. I think it is an artifact of who you are as a teacher, a writer and a creator. If anything, Cormier should be creating artifacts to your work in carrying the project to a happy conclusion. anti-spam: spine rap. The teacher assigned us another spineless rap of a project, something about artifacts and such. I dunno sometimes.